As Managing Director of Specialist Finance Group (SFG), William has been instrumental in the firm's leadership, development and growth both nationally and internationally. His vast experience has been built from an extensive career, 13 years of which were spent in the building and development industry. William’s extensive knowledge, valuable insights, strong eye for detail and inexorable commitment to abide by the highest standards for ethical and legislative practices continues to ensure SFG’s ability and reputation to provide our valued members with industry-leading solutions prevails. William is also a proud father of three, and he passionately enjoys being a mentor to many. Steve joined SFG in 2007, bringing a wealth of knowledge from his expansive career in the finance industry. Having previously been a Managing Director of mortgage brokering firms, Steve knows what it takes to succeed as a broker in this industry, and he uses this knowledge to ensure that SFG continue to deliver and improve upon the solutions provided to members. His future vision includes the option for new members to come on board with a unique and even more valuable offering. Steve liaises with our national lender panel to ensure that SFG continues to offer even greater flexibility to its members. 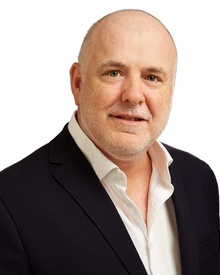 Frank has been involved in the Financial Services Industry for over 25 years overall, 10 years plus which have been at CEO and General Management level. 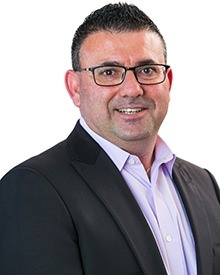 Frank is a current Responsible Manager on SFG owned Australian Credit Licences, has a Bachelor of Business Degree from Edith Cowan University with a double major in Marketing and Management and a Diploma of Financial Services – Finance / Mortgage Broking. 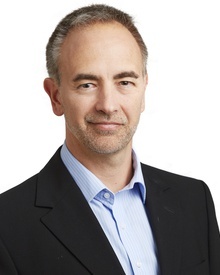 Prior to joining SFG in 2015, Frank worked with several major banks and other financial institutions in State and General Management capacities, specifically within third party distribution focussing on financial services integration. Frank brings valuable industry, management and strategic insight to SFG. 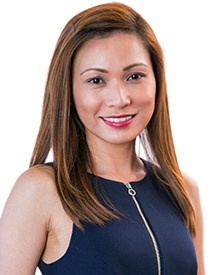 Zyra joined SFG in 2014, bringing over 8 years wealth of global accounting knowledge and experience. Zyra’s career included roles with global firms where she managed corporate clients such as Johnson and Johnson and Sara Lee North America. Zyra has also held the senior position of Associate Accountant with Duetsche Bank where she was responsible for the accounting functions in North America, Great Britain and Germany. Zyra manages and oversees the entire operations of the SFG accounting department. With strong abilities in corporate accounting and with high attention to detail, our members can be assured of timely commission and payment accuracy. As National Compliance Manager, Mark is responsible for leading our compliance team and ensuring SFG remains at the forefront of all compliance and better business practices for all members. Mark brings to SFG extensive industry experience, which includes 10 years as the National Training Manager at AFG and 5 years running a successful finance consultancy business. 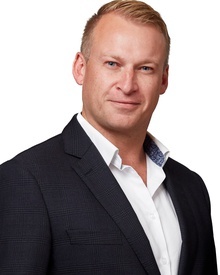 Mark also has 5 years of mortgage broking experience. The combination of these capabilities means that Mark has the essential compliance knowledge and hands-on experience in finance broking to ensure SFG and its members are able to meet their compliance obligations in a practical and relevant manner. Rachel manages all services essential to a broker’s success, and assists with training and support for members using CoreLogic RP Data, Equifax, and ZIP ID. 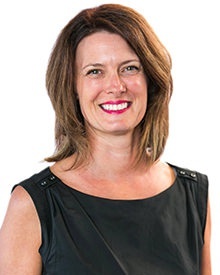 Prior to joining Specialist Finance Group, Rachel worked for CoreLogic providing training across Australia to a range of different industries including the Finance, Real Estate, and Government sectors. Rachel is an enthusiastic and passionate trainer who is dedicated to providing a high level of service and training to our members. Blake Buchanan joined the SFG executive in 2018 and has been in the broker channel of the finance industry for some 15 years. Blake has covered many areas of the third party including broking, banking, product distribution and more recently aggregation. 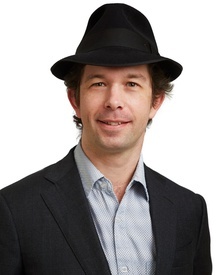 It is in the last 5 years Blake has excelled in the aggregation community and has become well known for his high industry standards, unique broker insights, and business strategies that has seen him become a highly respected business builder of the industry. Blake joins the team to establish our inaugural Sydney office and compliment the exemplary business model of award winning SFG team. 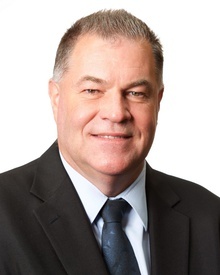 Jayden joined SFG in 2018 as State Manager of NSW and ACT. With several years in aggregation, Jayden has proven himself to be an effective business builder working closely with both brokers and lenders alike to maximise returns and success for all business partners. Jayden’s proven track record and passion for the industry is a perfect match for the ongoing success and management of the NSW SFG business. Alex brings over seven years of banking and financial services experience to SFG, and provides support throughout our network as a multi-skilled aggregation professional. Alex plays a critical role in assisting our members to build dependable income streams through compliant and common-sense business processes, in addition to his work as a residential and commercial credit scenario specialist, file auditor, Diploma-qualified loan writer and MFAA-accredited mentor. Marcus has been involved in finance industry for over 34 years with various lending and customer finance positions. He has proven experience working with mortgage brokers and aggregators in senior management leadership roles since 2003. 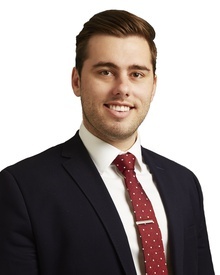 Prior to joining SFG in 2018, Marcus has shared his industry passion to assist many mortgage brokers in development and recruitment to establish growth opportunities within their own business for success. 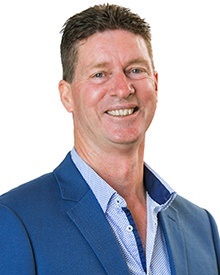 Marcus has a wealth of industry knowledge and is keen advocate with his years of experience for the mortgage and finance industry. A passionate family man and father to five children he enjoys AFL and is regular community volunteer for brass music and competitions. Emma joined SFG in 2017 and manages all Queensland based SFG and Southern Cross Broker Network members. 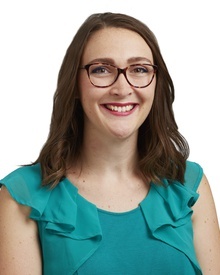 As part of her role, Emma is responsible for all industry training and development for Queensland members. Emma has a proven track record in portfolio management and client acquisition, coupled with extensive residential credit writing and analysis skills. With a strong client focus and attention to detail along with a broad understanding of investment management and wealth creation strategies, Emma has a thorough understanding of integrated financial services and holds a Diploma of Financial Services- Finance / Mortgage Broking along with several other industry qualifications across Management and Lending. 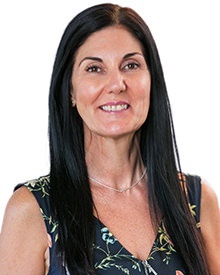 Prior to joining SFG in 2008, Piera's career comprised of over 20 years experience in finance consultation at a number of major builders in Western Australia. The valuable experience gained working in this dynamic sector allows Piera to accommodate for our members’ needs and requests with meticulous efficiency. She is well known for handling all challenges professionally and accurately, much to the satisfaction of our members and our own staff. Piera is an approachable, sincere and congenial part of the SFG team. 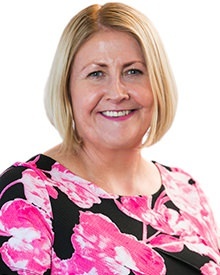 Working in the finance industry since 1987, Chrissy brings with her extensive experience from working with Credit Unions and minor banks to working for three years as a BDM for PLAN Australia. Chrissy has a sound knowledge of lending and credit, and provides a professional, friendly and efficient service to our Eastern States Members for all their administrative and development needs. Kelly commenced with SFG in May 2016 and brings with her 18 years of experience in the finance industry. Originally from New Zealand, Kelly moved to WA and was a farming/business owner. After 12 years Kelly moved to retail banking in rural WA holding various management and mortgage lending positions. 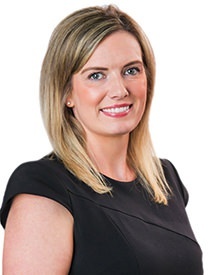 In 2010 Kelly relocated to Perth and shifted to mortgage broking where she held various Lending Manager, Training and Executive PA positions. This diverse experience gives Kelly the in-depth knowledge and thorough understanding to ensure all brokers receive best practice training and development. Kelly completed a Diploma of Finance and Mortgage Broking Management in February 2016. Alex manages all administration and training of the SFGconnect software platform for SFG members. 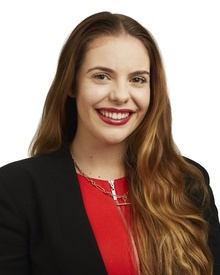 Prior to joining SFG, Alex worked as an Executive Assistant and Broker Support for the director of a finance brokerage in regional WA, so she fully understands a day in the life of a broker, including their business needs, daily challenges and opportunities in the market. With this breadth of experience and youthful enthusiasm, Alex delivers exceptional customer focused solutions to SFG members, which practically integrate with their business. Complete and submit this form and one of our team will be in touch shortly.